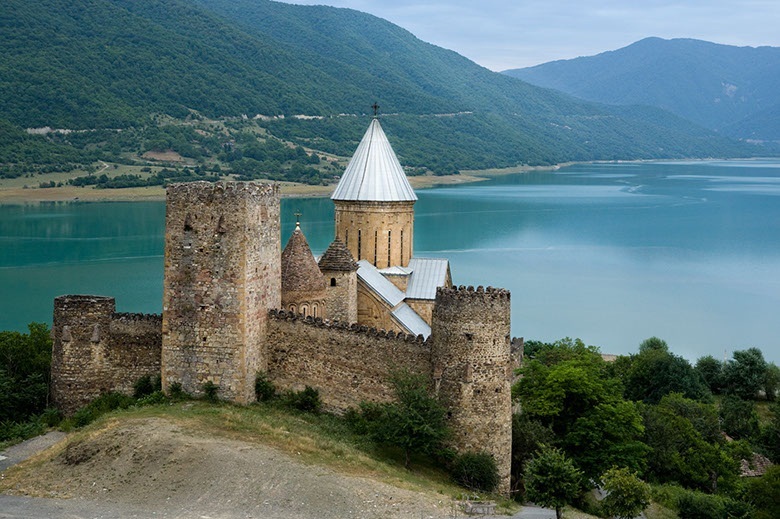 Ananuri is a Castle on the Aragvi River in Georgia, about 45 miles from Tbilisi. The fortifications enclose, amongst other buildings, two churches. 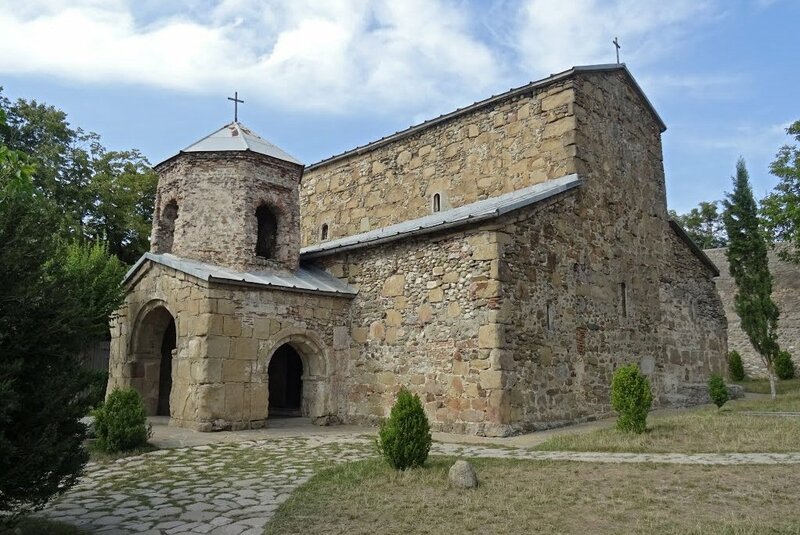 In the older Church of the Virgin are buried some of the Eristavis (dukes) of Aragvi.The Church of the Assumption, built in 1689, has richly decorated facades, including a carved north entrance. It also contains the remains of a number of frescoes. 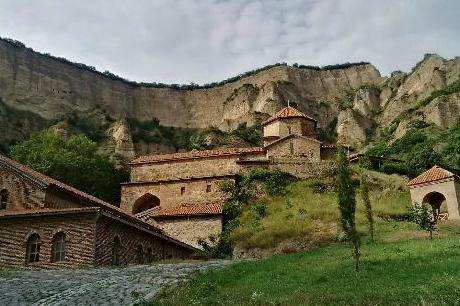 Ananuri castle represents multifunctional architectural complex of the late feudal times in Georgia. 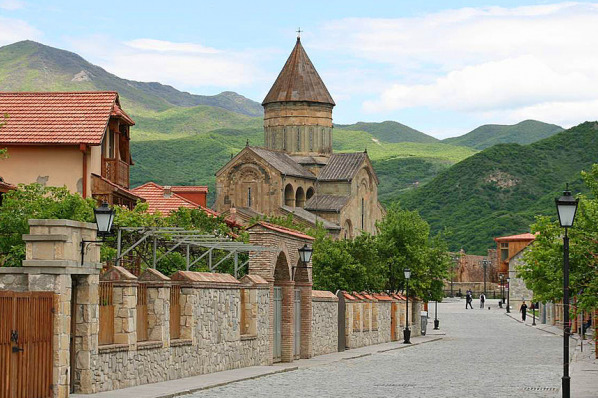 Built on the right bank of Aragvi River in 16th-17th cc, it was the main seat of Aragvi Eristavi - Dukes dynasty since 13th c . The village Ananuri is located on the main trade rout leading to the North, and in past it was part of the Great Silk Road. Nowadays the road is called the Georgian Military Highway. 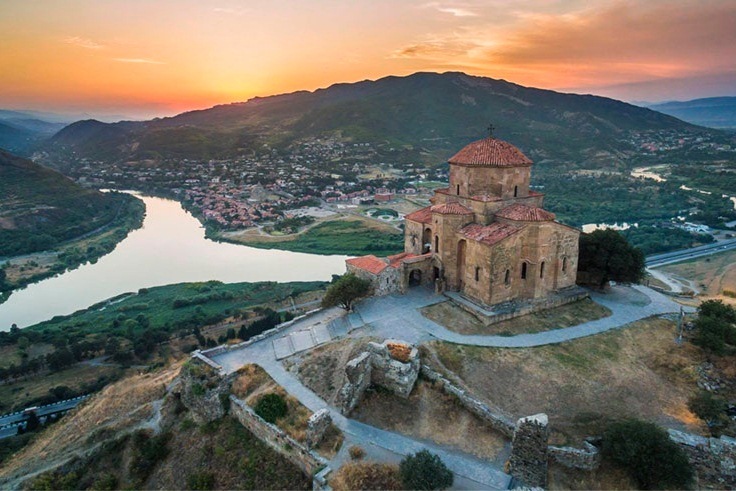 The distance from Tbilisi is 74 km (1 h) - beautiful driving along Zhinvali water reservoir damping clean and blue mountain river of Aragvi. The castle, the bell tower, three churches and beautifully carved walls are the highlites why the site is frequently visited. The castle was the scene of numerous battles. The fortress remained in use until the beginning of the 19th century. In 2007, the complex has been on the tentative list for inclusion into the UNESCO World Heritage Site program. The fortifications consist of two castles joined by a crenellated curtain wall. Within the complex, amongst other buildings, are two churches. The older Church of the Virgin, which abuts a tall square tower, has the graves of some of the Dukes of Aragvi. It dates from the first half of the 17th century, and was built of brick. The interior is no longer decorated, but of interest is a stone baldaquin erected by the widow of the Duke Edishera, who died in 1674. The larger Church of the Assumption (Ghvtismshobeli), built in 1689 for the son of Duke Bardzem. It is a central dome style structure with richly decorated facades, including a carved north entrance and a carved grapevine cross on the south façade. It also contains the remains of a number of frescoes, most of which were destroyed by the fire in the 18th century.